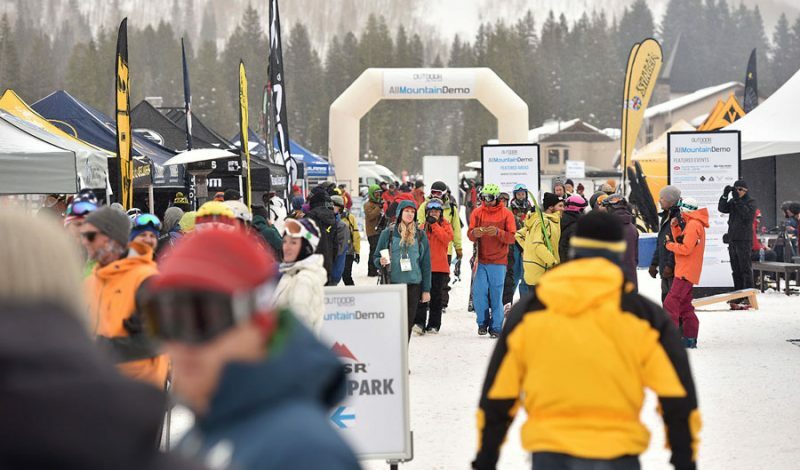 In less than two weeks we’ll be skiing, testing gear, networking and handing out awards in Salt Lake City as the entire outdoor industry converges for the semi-annual Outdoor Retailer Trade Show. Here’s Part Two of our exclusive look at just a few of the products competing for our Gear of the Year Awards. Patagonia says its Fall 2017 Snow line is about “durability, reparability and extended play,” with the specific intent of designing the pieces in a way that makes them easier to repair after hard use. The Pow Slayer apparel kit is the pinnacle of the Snow line that now features recycled Gore-Tex Pro fabric. The new Hyper Puff Hoody has an accordion-like construction allowing more opportunity to create warm dead air space. The Hyper Das insulation is highly compressible yet pops back to full loft as soon as the compression pressure is released. The material and insulation combo create an armor like feel and impressive warmth-to-weight attributes. The line includes a 100-gram Jacket and Hoody and a 200-gram filled Parka weight that is warmer than previous DAS parkas. Grivel is introducing some pretty exciting looking new gear in two weeks: new Stealth Hard Shell helmets ($70) and new G-20 Crampons ($220). 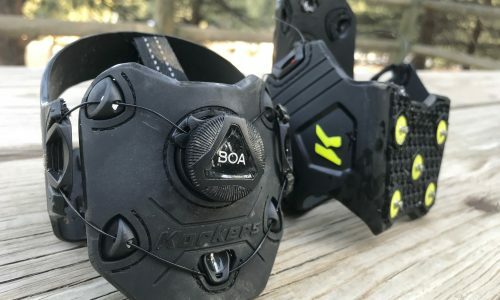 The Stealth line of helmets that is on the market now has added two new helmets to the offering. Our favorite of these is the Stealth Hard Shell (Stealth HS) that is still lightweight, but also more durable than the original Stealth, which is injected foam with a polycarbonate shell. 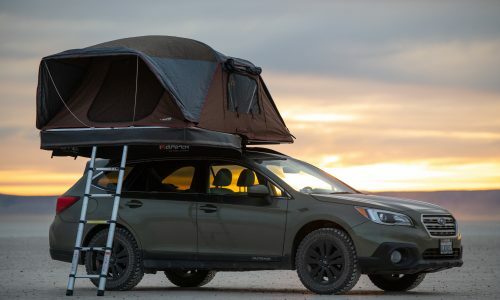 The HS features an EPS inner shell for protection, along with with an outer ABS shell for durability, and uses a new webbing harness, eliminating the need for clunky and fragile click-wheels. 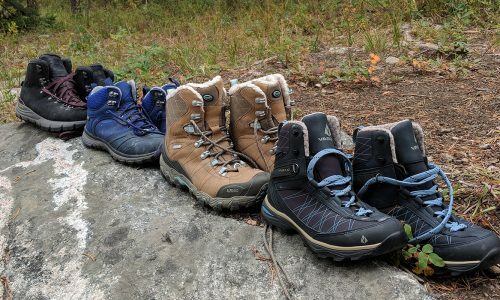 The G20 Plus Crampon is a redesign of their best-selling ultralight crampon. It has a single front point that is now replaceable, eliminating the need to replace the entire front piece once the front point eventually wears down. 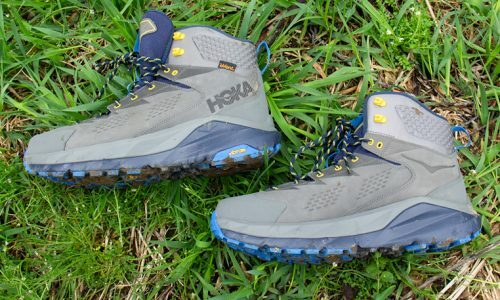 This awesome looking boot takes inspiration from UA’s statement boot we’ve previously reviewed, the Infil Hike GTX. 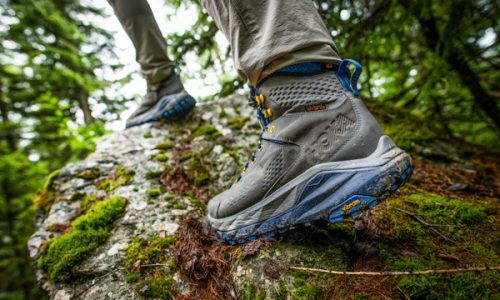 The Newell Ridge Mid Reactor features UA’s Cold Gear Reactor active insulation for comfort, Anafoam molded support structure in the upper, and full length dual-density EVA midsole with responsive Charged foam components. The Newell Ridge’s Michelin outsole is based on Michelin’s Wild Grip’R tires for a lightweight, stable and supportive winter shoe. 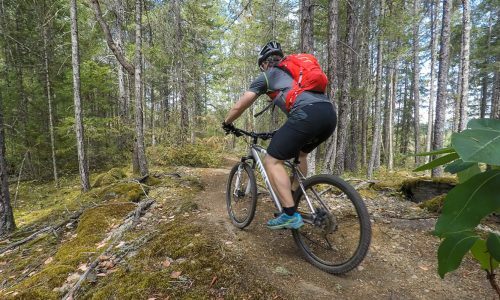 These little Pack-It stuff sacks from Eagle Creek will change the way you pack, and the new Pack-It Specter Tech line adds to the best features of the Pack-It line in an even lighter weight with new durable silhouettes for outdoor adventurers. New Bluesign approved fabric, dual zippers on a clamshell opening, climbing rope inspired pulls, contents visibility, and long-lasting durability add up to the most strategic and efficient packing we’ve found to date.